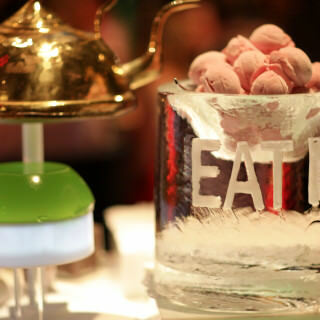 Dine are a leading events, venue management and outside catering company. 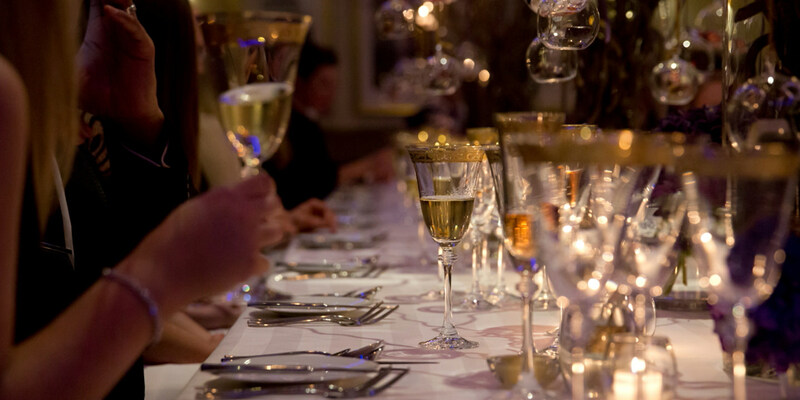 We’ve looked after a huge range of events since we began in 1998, developing a depth of experience which will contribute towards making your event really special. It's a great idea to consider which parts of the organising you want to do yourself (if any!). 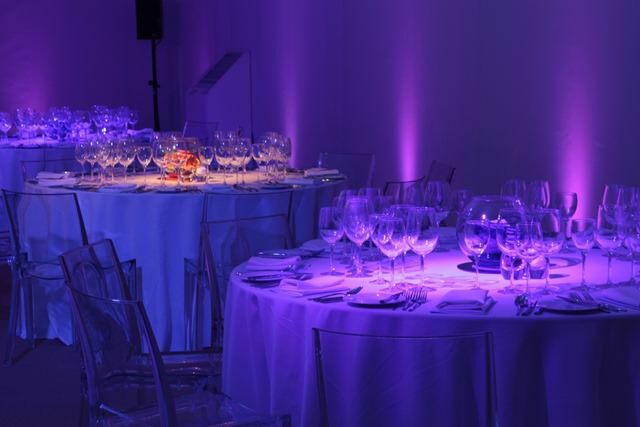 Dine may have started life as catering company but the Dine Events Team specialise in providing you with a complete solution, built around either a specific theme or occasion. 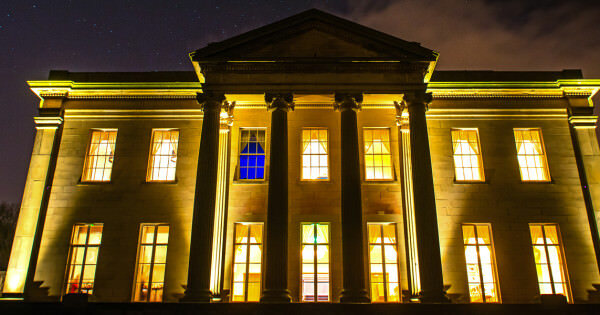 If you have the venue booked and want to start planning your event then please contact our team and one of our Event Managers will be happy to help. 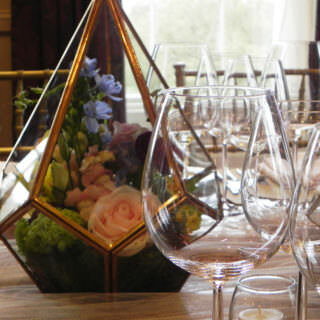 For some inspiration and ideas with venues, then please take a look at our venues page – if the choice is too much then we are always delighted to speak over the phone and provide our own expert help and guidance. 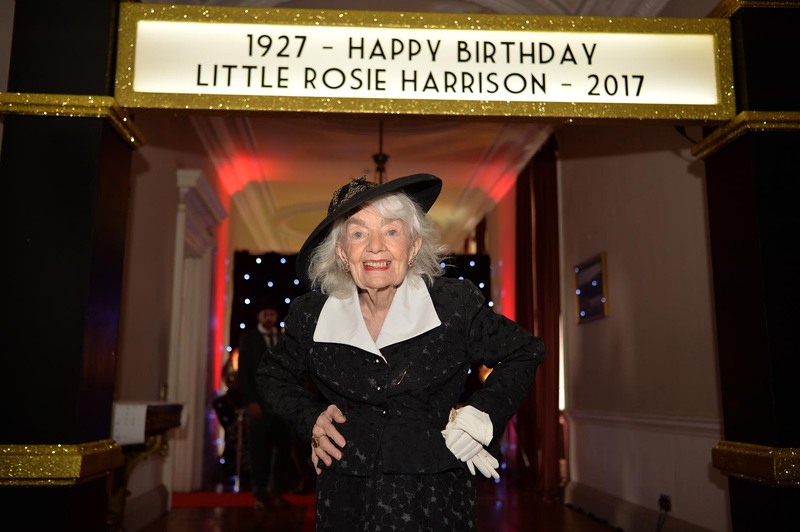 Rosie's 1940's themed birthday party! Marquees - we can quote for a bespoke marquee for your celebration and oversee every element to ensure it all comes together perfectly. 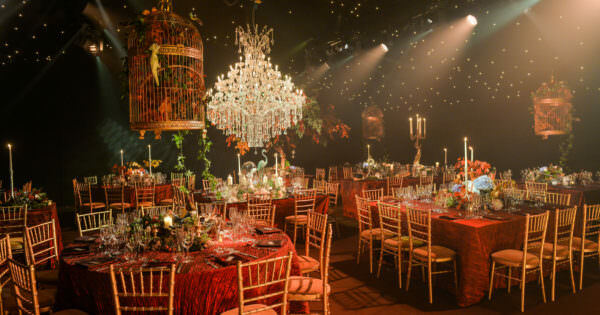 Theming & Lighting - by carefully considering everything you want your event to be, we will help create an entire scheme to bring the event to life and make sure you and your guests leave with lasting memories. 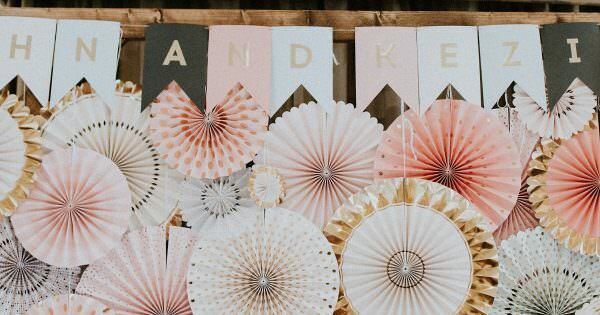 Invitations - our team of designers can create invites as unique as you are and then manage the RSVPs and produce the guestlist and finalised table plan - one less thing for you to worry about! 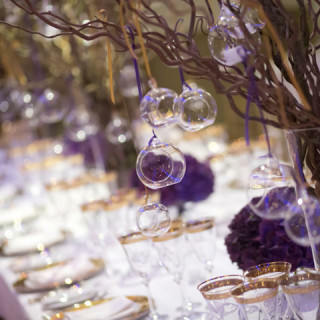 Bars & Furniture - your Event Manager will guide you through the different options and oversee the installation on the day. 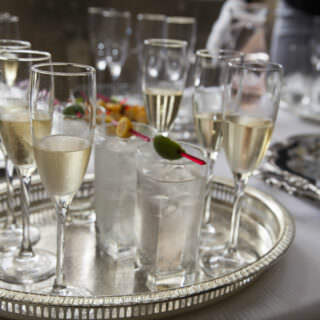 We also look after all the drinks and bar service. 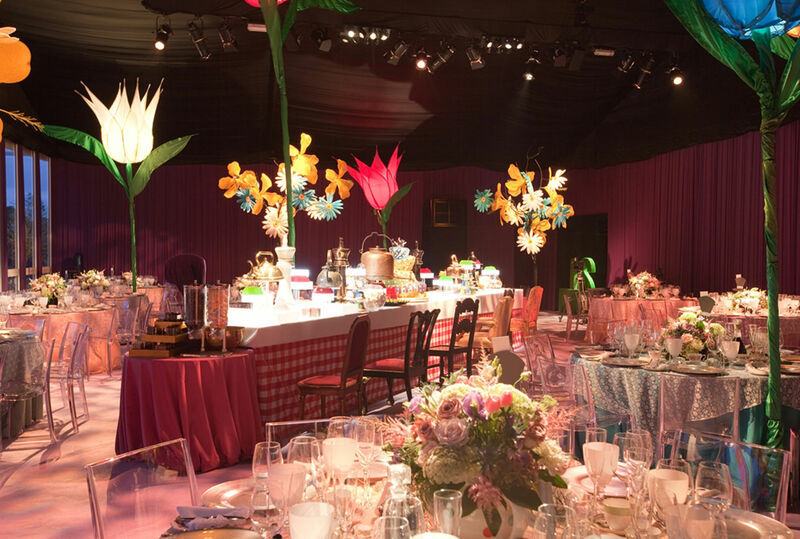 We have had been privileged to work on some exceptional events. Browse our image gallery to see some of our past work - maybe you will find some ideas for your own event. 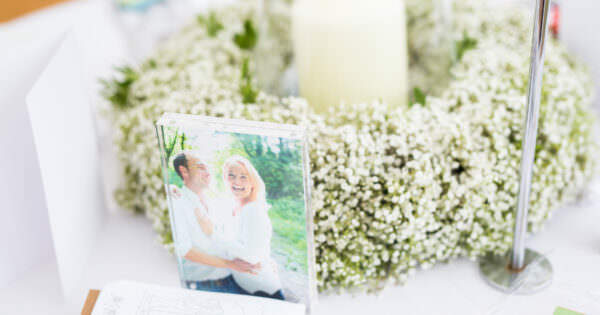 If you are looking for inspiration and guides for an up and coming party, wedding or corporate event, you could also visit our blog. Our party was amazing , you and your team worked so hard and everyone was delighted ! The food was the best ever and the gifts at the end went down a storm too! Wow Matt! Thank you and your team so much. Our party was amazing! We loved every minute. Your team were so lovely, hard working and so polite, we enjoyed their company and the food was absolutely delicious and so different! Thank you so much for Saturday! The whole experience was fantastic! Everybody thoroughly enjoyed the evening and said the food & service was second to none! For me an added bonus was walking in to an immaculate kitchen at the end of the night! 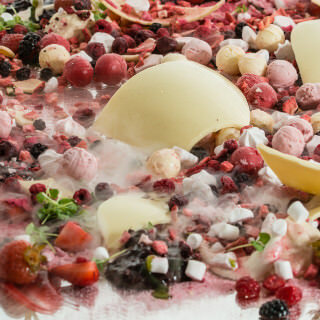 Just a note to say a big thank you to you, Daniel and the Dine team for Saturday night. We had an amazing time and have had some amazing feedback from the guests. You and the team make it all so easy for everything to run smoothly and excellently. Your Team was outstanding, efficient, professional and charming – so helpful with all of our last minute and unscheduled demands and all sorted without fuss and a smile. They brought calm and order to what had been quite a chaotic few days..and allowed me to thoroughly enjoy the day and the company of our friends without the slightest hint of angst, knowing the event was in capable hands. The evening was superb all round. The food and wine were lovely; everybody at my table was delighted. 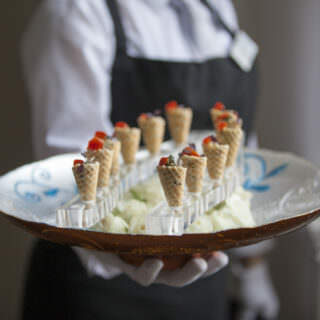 The service was second to none and I thought, as the waiting staff delivered and cleared course after course, you must have been a veritable choreographer. Routes to tables were clearly planned, the service was discreet, precise, timely and utterly courteous and all the staff were engagingly attentive. 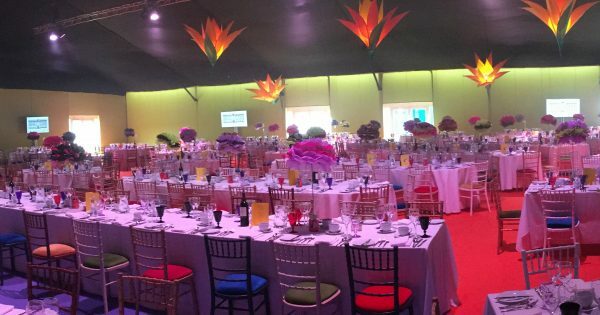 We are passionate about ensuring that Dine events offer your clients or colleagues a truly memorable experience, whether at your offices, in a marquee or at one of our award-winning venues. 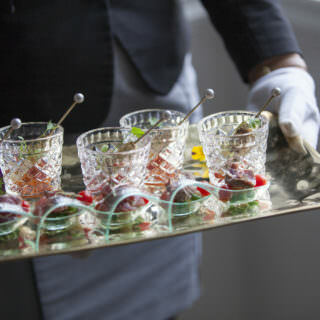 We have been working as an "outside" caterer for over 18 years, arranging parties for a huge variety of themes and occasions whether it's canapés for 100 or an elegant dinner party for 10. 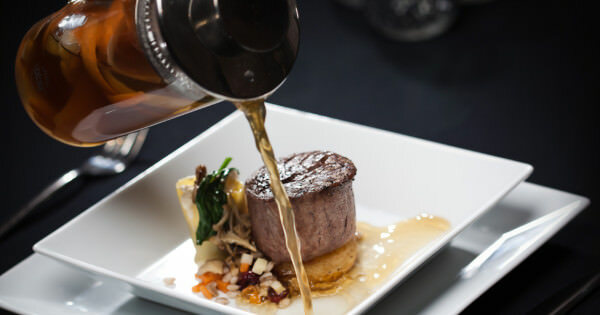 Browse our menus for inspiration. 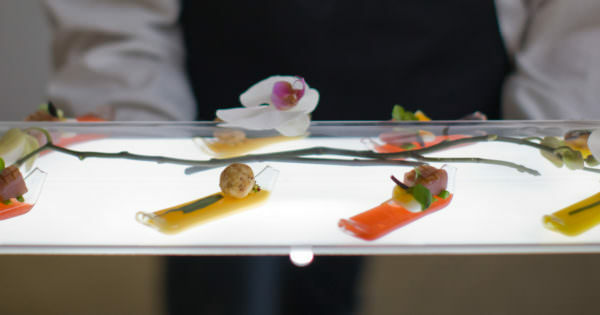 Our chefs come from some of the UK’s top kitchens but it’s not only the food which amazes, it’s the way your food is delivered with knowledgeable serving staff presenting you with a bespoke menu. 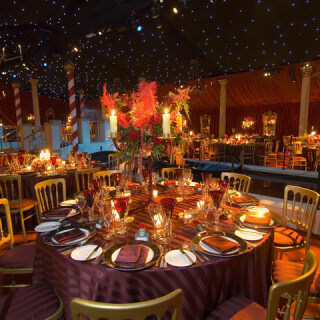 The Dine Events Team specialise in providing you with a complete solution, built around your specific theme or occasion. 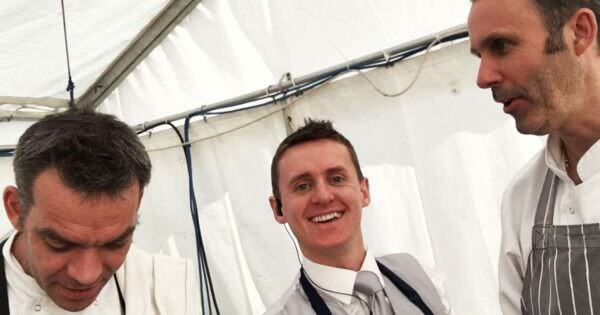 Your Event Manager will be on hand throughout, from the initial concept through to overseeing the day itself.